The Centro Transit Hub is the CNY Regional Transportation Authority’s downtown common center for Centro Bus Services for the City of Syracuse and surrounding areas. The new facility is home to a 53,000 square foot canopy landing that features 22 passenger loading bays. The entire footprint of the facility extends nearly 1.5 acres and includes customer service areas, public restrooms, electronic schedule information and several other commuter-friendly amenities. 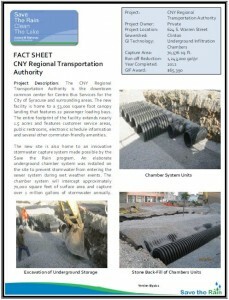 The new site also features an innovative stormwater capture system made possible by the Save the Rain program. An elaborate underground chamber system was installed on the site to prevent stormwater from entering the sewer system during wet weather events. 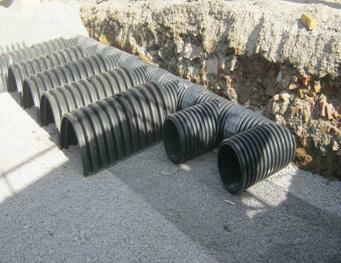 The chamber system intercepts runoff from approximately 70,000 square feet of surface area and capture over 1 million gallons of stormwater annually.